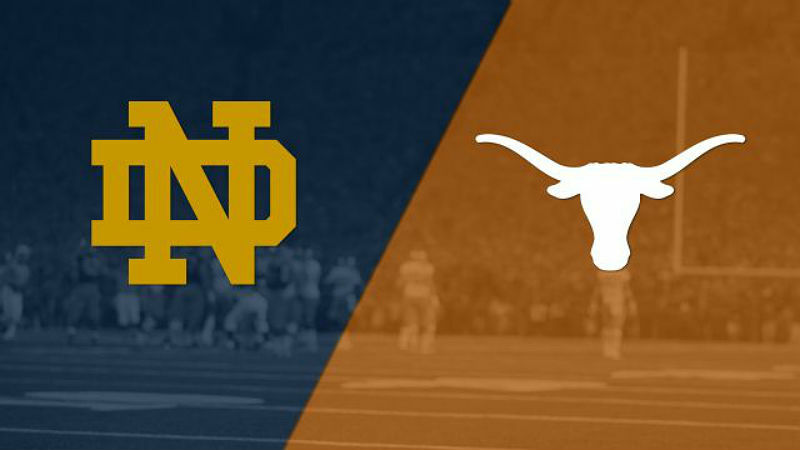 AUSTIN, TX, Sporting Alert – Week 1 on the 2016 College Football opening weekend schedule continues on Sunday with two more games. The highlighted game on the schedule on Sunday comes from the Royal Texas Memorial Stadium in Austin, TX, where Texas will play host to No. 10 Notre Dame. The Fighting Irish head into this weekend’s battle at 3.5 point favourites to open their campaign with a win, as they once again start the hunt to win the National Championships. They seek to bounce back from a losing season. At the same time, the Longhorns have certainly improved from a season ago and will not be expected to be walkovers in their own backyard. “Texas is going to rely on tempo on offense with the new offensive coordinator,” Notre Dame head coach Brian Kelly said at his press conference. “They’re going to push the tempo. And defensively they’re young, they’re athletic, and they’re certainly going to keep the pressure on our offense. Kelly has a pair of quarterbacks leading his explosive offense, but wasn’t giving anything away when asked about which one would take the first snap. “[I] haven’t figured that out yet,” he said when asked the question. “I mean, we’re both doing the same things that we’ve been asking them to do, and that may be something that we discuss in the locker room. Meanwhile, Longhorns defensive coordinator Vance Bedford told reporters that the hosts are a different team this season and are ready to get the season off. Texas has won 15 consecutive home openers. “The attitude of the team right now ­– offense, defense, special teams – is something we didn’t have last year, in my opinion,” Bedford said.